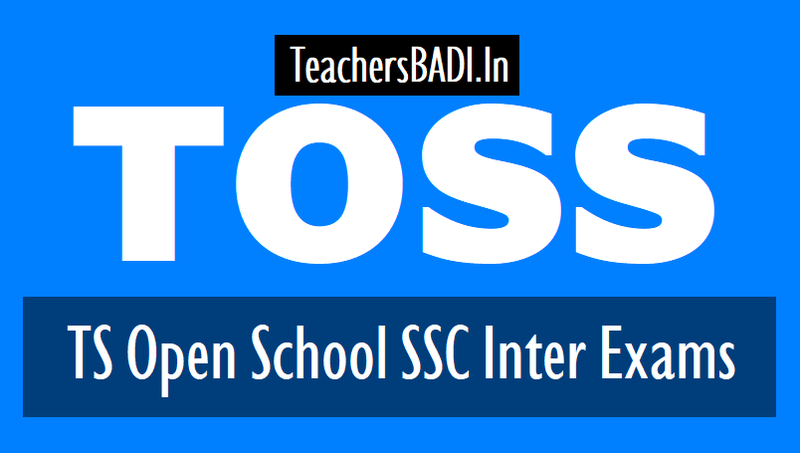 #CCLs to TOSS Inter SSC Inter Exams Conducted Teaching and Non Teaching Staff in Dasara Holidays.CLs Sanctinoed to Participated Teaching, Non Teaching in TOSS October Exams Rc.No.2038 TOSS, The Director, Telangana Open School Society, Rc No.2038, Dt:14-10-2016. SSC and Intermediate (#TOSS) Public Examinations October 2016- Grant of Compensatory Leave to the Teaching and non-teaching employees involved in conduct of examinations during Dasara Holidays-Regarding. TELANGANA OPEN SCHOOL SOCIETY, HYDERABAD. Sub: SSC and Intermediate (TOSS) Public Examinations October 2016- Grant of Compensatory Leave to the Teaching and non-teaching employees involved in conduct of examinations during Dasara Holidays – Regarding. 2) Memo No. 13112. Fin Accounts/67-2, dt:01.03.58. All the District Educational Officers in the Telangana State are aware that, the SSC and Intermediate (TOSS) Examinations October 2016 have been conducted during the 1st term holidays. The services of certain teaching and non-teaching Staff from Govt./Z.P/Schools have been utilized for conduct of the said examinations. Therefore all the District Educational Officers in the State are requested to take necessary action for grant of Compensatory Leave for the staff whose services have been utilized to the extent of 1st term holidays in conducting of SSC and Intermediate (TOSS) Examinations October 2016 as per rules stipulated in the G.Os and Govt. Memo cited above. Enclosures: 1) G.O.Ms.no. 50 Panchayati Raj (ESTT.III) Dept., dt:01.02.1968; 2) Memo No. 13112. Fin Accounts/57-2, dt:01.03.58.